During the cold winter months, skin can become parched and even start to crack. Are you tired of dry, dull, and uneven skin? Giving your skin the proper hydration it needs will not only make you feel better, but it will also make you look better. 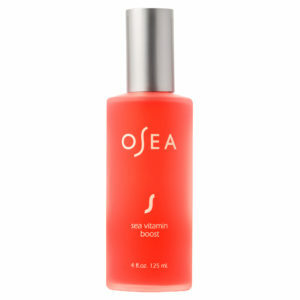 When moisturizers just aren’t enough, you need the extra protection of the Sea Vitamin Boost Antioxidant Spray from OSEA. Our MyTopFace expert loves to use the spray after applying the OSEA White Algae Mask. This Malibu, CA brand is a family-owned business that specializes in holistic medicine and water therapy. The OSEA company prides itself on the healing properties of saltwater and keeps their products plant-based. The brand sources most of its algae from the Patagonian Sea located near South America. This marine ecosystem is bustling with undisturbed wildlife and unique minerals. Their White Algae mask and Vitamin Boost spray are made from products found in nature and the sea. The ingredients provide instant hydration and refreshment to the driest skin in the harshest climates. MyTopFace expert is excited to incorporate these natural products into their beauty routine! The main ingredient in the Sea Vitamin Boost Spray is Gingartina Skottsbergii algae. The exotic marine algae are naturally red which gives the mist a rose-tinted hue. Gingartina is known for its multiple healing properties including relief of psoriasis and eczema. MyTopFace expert recommends spritzing the mist on your face several times a day or whenever your skin feels dehydrated. Additional ingredients like pomegranate and Vitamin C left the skin feeling energized and refreshed. Marine algae, also known as seaweed, is praised for its bioavailability. The seaweed’s composition makes it easier for the skin to absorb its nutrients. It is important to spray the mist in the morning and at nighttime before you go to bed. MyTopFace expert loves the vibrant, dewy glow it gives the face after a long day. The Patagonian sea algae is teeming with amino and fatty acids that will make your skin soft and supple. This exclusive combination of natural ingredients provides the perfect balance of antioxidants to combat signs of aging and skin damage. The addition of trace minerals also helps to fight the effects of environmental stressors. Our expert used the mist to refresh her makeup and keep it in place throughout the day. The feature ingredient in the algae mask is Macrocystis pyrifera algae. The algae are filled with amino acids that work to repair skin tissue and heal wounds. MyTopFace loves the creamy consistency which dries without making our skin feel tight. This mask is great for those suffering from dry skin ailments such as rosacea. Natural algae extract and jojoba seed oil work overtime to penetrate the outer layer of the skin to dissolve pollutants. Our MyTopFace expert noticed reduced signs of aging. Our expert uncovered bright and glowing skin after leaving the mask on for 10-20 minutes. The mask also decreased redness and puffiness. MyTopFace expert wore the mask overnight to eradicate impurities. The oils restored the skin’s natural moisture balance. The skin felt squeaky clean yet moisturized. Over time, our expert noticed fewer breakouts and acne scars with the mask. 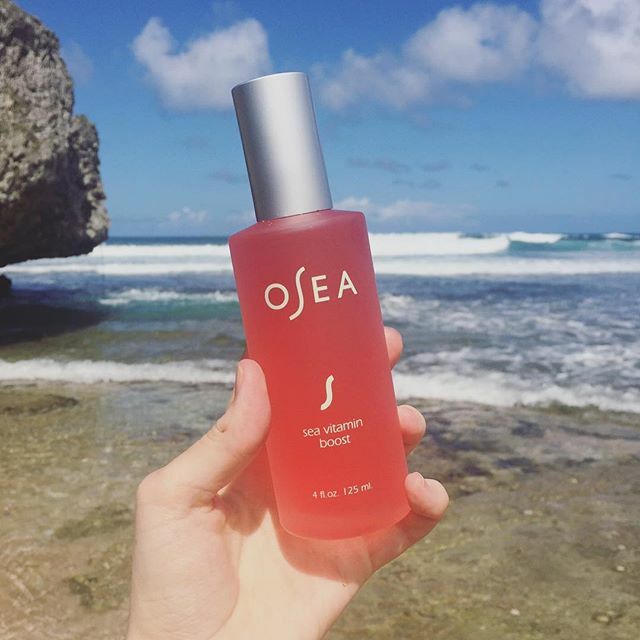 Try OSEA products to give your skin a natural boost. 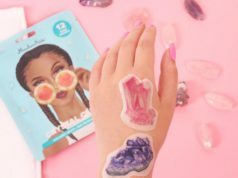 Next articleThe BrowGal Helps You Get Perfect Eyebrows!